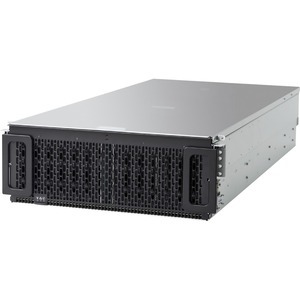 The Ultrastar Data102 is a key element of next-generation disaggregated storage and software-defined storage (SDS) systems, delivering high density and the flexibility to balance performance with cost. The Ultrastar Data102 provides up to 1.2PB of raw storage in a compact and efficient form factor. HGST HelioSeal® drives ensure cool running, quiet operation and high reliability. A high performance data tier can be set up for demanding applications by using SSDs in up to 24 of the drive slots.